The attorney for Trayvon Martin's parents is calling for the release of all of the documents related to the death of their son, rather than continue what he says are strategic leaks of records intended to benefit the defense of George Zimmerman, who is charged with killing Martin. Attorney Benjamin Crump said on Wednesday he wants "full transparency" in the case, after several news outlets--including ABC, NBC and CNN--were given access to a sealed medical examiner's report on Martin. "It was leaked for a beneficial purpose, certainly to help George Zimmerman's claim of self-defense," Crump said. "This report needs to be vetted with a keen eye." "You have to look at this in the full context," he continued. "George Zimmerman made the decision to get out of his car, profile Trayvon Martin, pursue Trayvon Martin and confront him." According to NBC News, the multipage autopsy says that Martin was "killed by a penetrating gunshot wound to the chest," with the entrance wound "located on his left chest 17 inches below the head. The single bullet passed directly from the front to the back, through his lungs, creating perforations." The only injuries to Martin are from the gunshot and to one knuckle, "a quarter-inch to one-eighth inch abrasion on the fourth finger in the ring area." The gunshot wound entrance was from a bullet fired from "intermediate range," or two to four inches, "a soot ring abrasion and a two-inch by two-inch area of stippling" on his body. 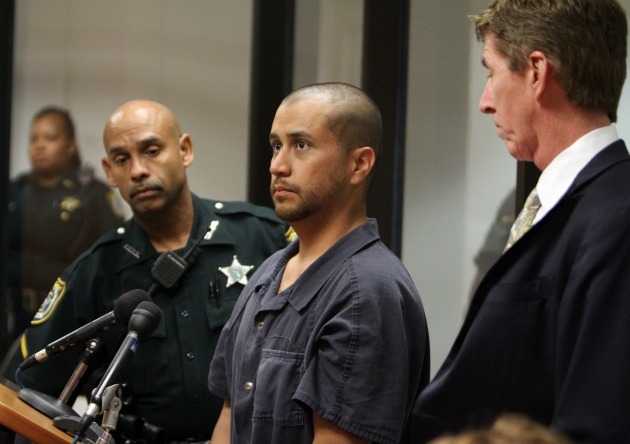 Earlier this week, medical records leaked to ABC News showed Zimmerman likely suffered a broken nose, black eyes and an abrasion on the back of head. Zimmerman's lawyer, Mark O'Mara, said he may seek a dismissal of the second degree murder charges against his client under Florida's "stand your ground" law.